Fight CRC communications intern Elizabeth Fisher passionate about THIS. IS. CRAP. Classes expand student horizons, but the UCM PR program’s internship requirement takes learning to the next level. As recent graduate Elizabeth Fisher can attest, she did applying her education to real-life as Fight Colorectal Cancer’s recent intern. She used and and sharpened her relational, writing and social media skills, while her mentors (UCM PR alumni, no less) taught her things she never dreamed she’d be able to do. Always passionate about helping others, Fisher found a way to use her public relations skills for a cause greater than herself. Her Fight CRF internship let her play a recent role in launching the national “This. Is. Crap.” colorectal cancer survivor campaign. Beyond a web-based approach, the campaign appeared in Times Square and was taken to Congress in March. Fisher’s traditional and social media responsibilities were key influencers to the campaign’s success. 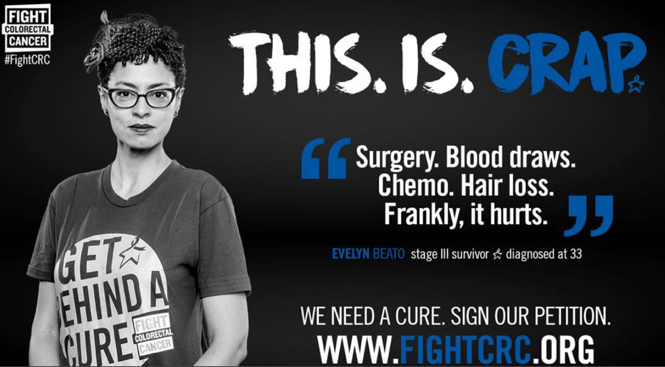 Fight CRC This. Is. Crap. was designed to tell the story of colorectal cancer diagnosis. Twenty-one ambassadors shared their “this is crap” reactions to their own diagnoses. Fisher put together blog posts and releases featuring the ambassadors’ stories, pairing them with strategic videos and graphic content to secure social media best practices. Fight CRC’s communications staff was small but mighty. Director of Communication Danielle Burgess (a program alumna and 3-time cancer survivor) mentored Fisher during communications intern experience. Burgess and co-worker Andrew Wortmann (also a program alumnus) made Fisher feel an integral part of the Fight CRC communications team. “It made me work even hard and be even more successful as a young professional,” Fisher said. Because her internship transitioned from unpaid to a paid position, Fisher knows that her UCM public relations education prepared her well. Known for its global excellence in public relations education, Fisher took advantage of the program’s opportunities and landed the Fight CRC internship. She came to it knowing the strategic value of story telling, how to create and deliver pitches and releases, skilled in Creative Cloud design basics, and proficient in media list compilation and use. She put those to good use as an influencer of Fight CRC’s This. Is. Crap. campaign. 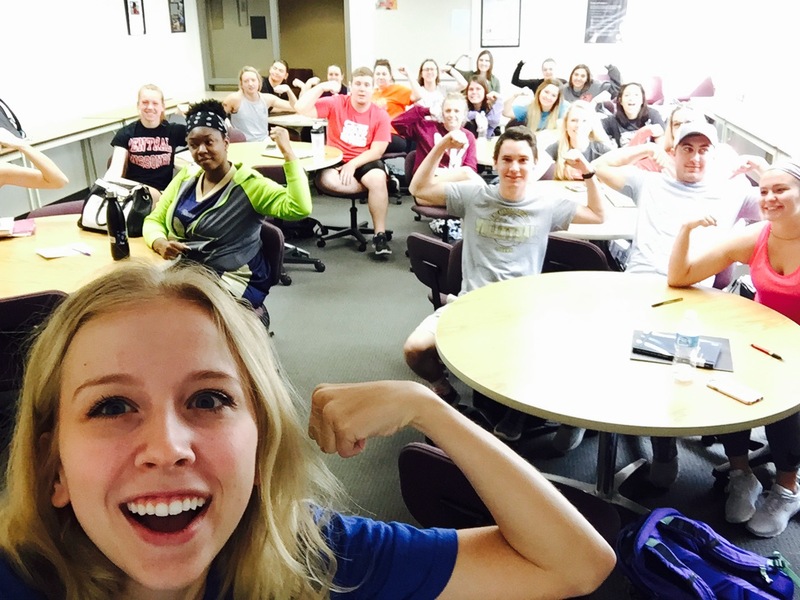 “I am so proud of the public relations education I received at UCM. I am going to tell everyone I can about it,” Fisher said.